Thanks to the dedicated research efforts of Steve Smith, ’84, it has come to light that there is another Citadel Man permanently interred in a WWII military cemetery in Europe . His name is Charles “Chuck” Prichard Lesesne, and he entered The Citadel in the academic year 1929-1930 as a Cadet Recruit with the Class of 1933. His is an intriguing story. In 1941, Lesesne left the United States, joined the Royal Canadian Air Force and became a bomber pilot. Killed in action on March 31, 1945, he now rests in peace in the British Commonwealth military cemetery in Hamburg, Germany. Courtesy of The Citadel Archives and Museum, Charleston. 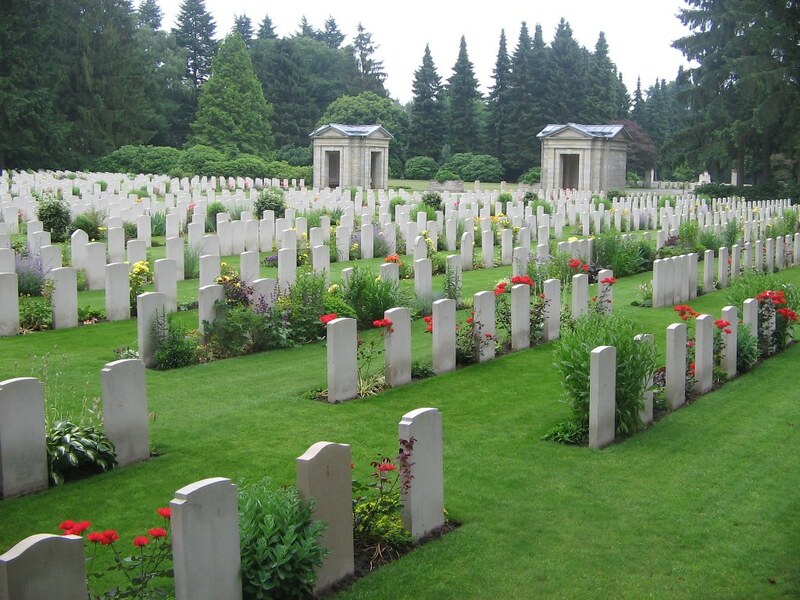 There are 3 Commonwealth War Graves plots located within Hamburg Ohlsdorf Cemetery: Hamburg Cemetery Ohlsdorf 1914-1918, Hamburg Cemetery Ohlsdorf 1939-1945, and Hamburg Cemetery Ohlsdorf Post War. These plots are owned and maintained by the CWGC. Within the three plots, there are 708 WWI, 1466 WWII, 378 post-WWII graves, and 14 war graves of other nationalities. When I first heard the news from Steve, I was pleased but also disappointed and frustrated. Disappointed because only two months before, I had stopped in Hamburg where I had the great pleasure to meet a very recently graduated member of the South Carolina Corps of Cadets, Theresa Johansen, ’12. Had I known that there was a fallen Citadel Man so nearby, I would have paid my respects, but I passed through the area unaware. I was frustrated, too, because I should have paid more attention to his uniform in his photo and seen that he had served in a “foreign” service. More important though, I was pleased because another Citadel Man, who made the ultimate sacrifice in the liberation of Europe from the Nazis, is remembered and shall not be forgotten. 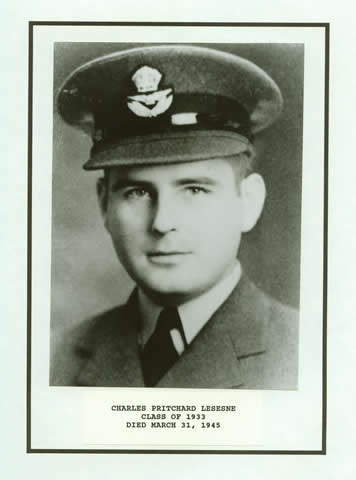 Finding and remembering Charles Prichard Lesesne ’33 has only increased my resolve to continue to research, locate, and honor all Citadel Men who have fought and died in Europe and Africa, especially those who are buried or missing “over there”. Charles Lesesne, Of Sumter, Reported Killed Over Germany, Associated Press, July 17, 1945.